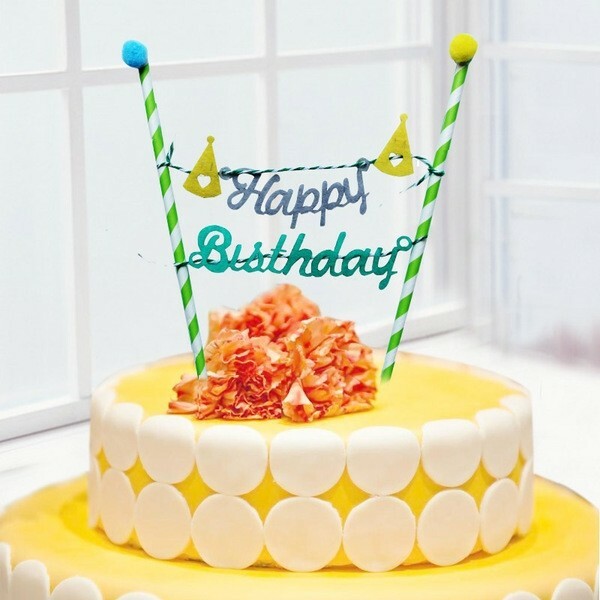 Green Cake Topper Decoration Banners spelling out Birthday make the cutest cake decorations to sweeten up your birthday cake! Mini cake banner are mad of felt material and are a pretty cake decor item. Includes: Banner spelling HAPPY BIRTHDAY with 2 balls, 2 sticks, 2 felt hats deco and Twine for hanging. ASSEMBLY REQUIRED.